Share your expertise with colleagues in the land management community! The Call for Abstracts will open April 22. Deadline June 1. We expect 250+ land managers and researchers to gather in Riverside this October to share the latest on invasive plant biology and management. Contributed papers receive 15 minutes for a talk plus 3 minutes for questions. 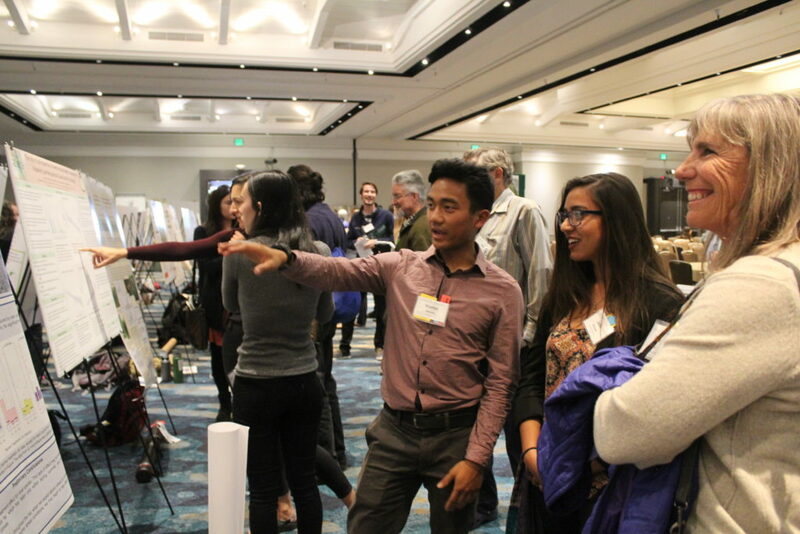 Our designated poster session allows poster presenters to interact with attendees. Our Student Paper and Poster Contest invites undergrads, grad students and recent graduates to enter with a chance to win a $250 honorarium for the top paper and top poster (apply on the Abstract Form). Student registration is subsidized and limited travel stipends will be available from the Cal-IPC Student Section. We’re also including 5-minute speed talks on New Tools or New Research. This will be a way for students to present preliminary research, and those with new tools to give a short primer on their idea. Please indicate 5-minute speed talk on your abstract submission form! Talks and posters may not promote commercial products or services (promotional materials can be distributed by a sponsor at their exhibit). We receive more abstracts than can be accommodated in the oral paper sessions, so some submissions may be asked to move to the poster session or to speed talks.